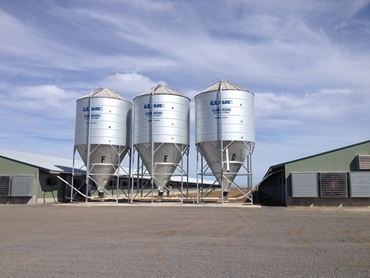 Established silo manufacturer GE Silos has been meeting the storage needs of diverse industries for over 34 years. Manufacturing high quality silos for use in stockfeed companies, poultry houses and construction companies, GE Silos has been continually improving their products based on feedback from the market and customers on problems associated with storage. This also led to the introduction of heavy duty blower pipes, which were previously a common problem on large poultry farms. GE Silos has become a trusted leader in the industry because of their attention to detail in manufacturing as well as excellent backup service. GE Silos will be exhibiting their range of silos at PIX 2014.